Winchester Hire & Charter Ltd. - Registered in the UK - Company Reg. 02601509 Formerly Winchester Music Hire Ltd. Renting pianos into the home since 1975. The "Newcastle Piano Hire" piano rental programme is designed for anyone that would like to have a smart modern piano in their home but is not yet ready to invest thousands of pounds in a piano. 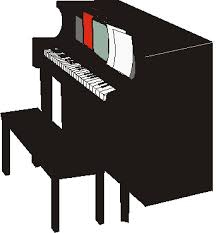 "Newcastle Piano Hire" will supply a piano into your home, tuned and ready to play, at a nominal cost. You will have the opportunity to buy at a later stage, if you choose, getting most of your rental money refunded. Our representative will visit you at your home, school or college at a time to suit you, between the hours of 11 am and 8 pm 7 days a week. They will explain how the programme works, answer any questions you may have and discuss the most suitable places for the piano and importantly, explain those places that are not suitable for a piano. Should you decide to go ahead then the agreement can be settled on the spot and the piano delivered shortly afterwards. The piano will be a lightly used modern piano which is guaranteed by our own experienced piano experts. All of our pianos have been used, this helps to keep your rental price as low as possible. New pianos are available but at a higher cost. The minimum rental period is 6 months. There is no maximum period. (acoustic). from £35.00 per month (digita)The rental cost includes piano maintenance which includes regulation. Tuning is charged at £30 after the first tuning which is free of charge. An accoustic piano should be tuned at least every 6 months in order to maintain the pitch. The piano action needs to be carefully maintained in order to keep the instrument in best playing order. The action will be checked and adjusted where necessary at the time of tuning. You will be given the opportunity to buy your rental piano. Should you wish to buy then 9 months of the rentals paid will be refunded against the original purchase price. Should you wish to buy at this time,15 months of the rentals paid will be refunded against the original purchase price. Should you decide to continue to rent you can do so indefinitely. Many of our clients never wish to buy their rented piano and much prefer rental. Your rental price will never increase, we will always be responsible for maintenance and you can return the piano at any time by simply calling us. Collection will be at our expense once you have passed the first 6 months rental period. Morpeth, Corbridge, Consett, Lanchester, Langley Park, Stanley, Whickham, Gateshead, Jarrow, Washington.